(NaturalNews) As biotech experts have warned, genetically modified corn has cross-pollinated with non-GMO strains of maize used by small-time farmers in South Africa, according to a new first-of-its-kind study. Natural Society noted recently that the contaminant now present in Eastern Cape, South Africa, has essentially occurred due to the hubris of pro-GMO advocates and biotech giants that push them. "Biotech companies have come up with all sorts of ridiculous reasons for using trans-gene technology, without a modicum for concern about containing those genes once they are let loose into the world - or perhaps this was their intention all along," said the site's Christina Sarich. "Now, in yet another case of unwanted cross-contamination between GM and Non-GM seed, GM corn transgenes have penetrated the informal seed supplies of smallholder farmers in the Eastern Cape, South Africa." Researchers discovered transgenes in external fields, local household seed holdings and home gardens in a village where GMO insect-resistant maize had previously grown between 2001-2008. They also analyzed seek management practices of local farmers in the region. Genetically modified (GM) crops were introduced in South Africa in 1997. By 2013, South Africa had 2.3 million hectares of GM crops under cultivation, 78% of which was insect-resistant and/or herbicide-tolerant maize. The researchers found that the commonly used transgene promoter p35s occurred in one of the 796 maize leaf samples (0.0013%) and in five of the 20 seed batch samples (25%). Three of the five included herbicide-tolerant maize (NK603) while the remaining two included genes for insect resistance (from MON810). The study went on to conclude that GMO corn is often grown in such close proximity with non-GMO locally recycled and bought maize varieties that the occurrence of transgene flow takes place and should be expected to continue doing so at a high rate, according to findings that transgenes have been integrated into seed stored by small farmers in the examined village who are continually sharing and recycling seeds. "The repercussions include ecological risks such as resistance development as well as possible infringement of intellectual property rights and permit conditions," said Sustainable Pulse. "The study demonstrates how difficult it is to cultivate GM and non-GM crops together in small rural farms under current permit regulations for GM crops." At present, South Africa has some 2.3 million hectares (nearly 5 million acres) of GMO crops planted, and 78 percent of them are insect-resistant and/or herbicide tolerant corn. Simply put, they were engineered to withstand the poisonous chemicals manufactured by Monsanto, "the very same concoction that is producing cytotoxic disease in humans in every conceivable non-industry sponsored study conducted," Sarich wrote. She went on to note that the study's findings of GMO transgene contamination should not surprise anyone. However, she said, the frequency with which such contamination is occurring is alarming. "A fourth of all tested samples contained GM transgenes meant for herbicide resistance," she wrote. "You can bet biotech is happy about this - it means they can sue more farmers for patent infringement, and overtake another local seed supply, monopolizing farmer's crops once again. It also poses an enormous threat to the eco-system, and contaminates organic seed." The worst part, though, is that once the GMO transgene contamination takes place it is irreversible. 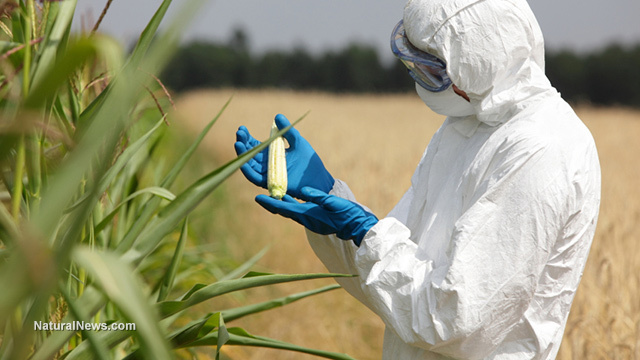 One recent report, in fact, confirmed that GMO contamination is much more severe than previously thought, validating the concerns of experts who were afraid that contamination would become more rampant as more GMO seeds and crops were introduced around the world. "The GM Contamination Register contains records of GM contamination incidents since 1997 and forms a unique database," said an abstract of the 2014 study. "By the end of 2013, 396 incidents across 63 countries had been recorded."